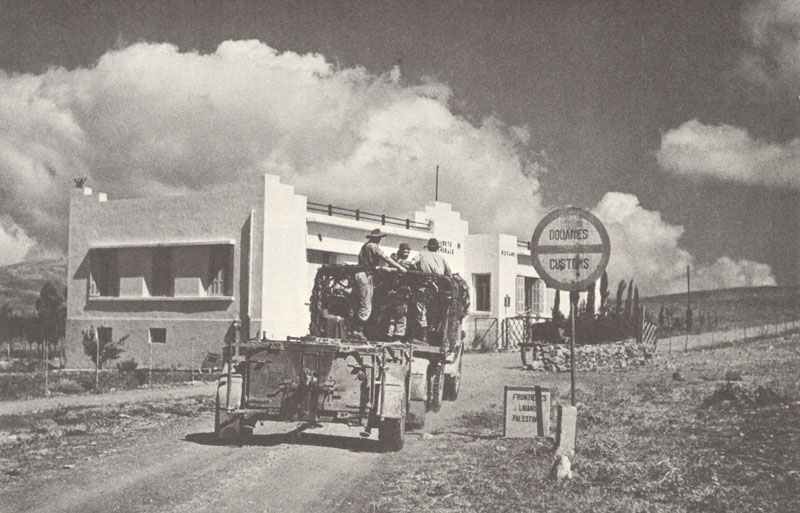 British troops crossing the border to Lebanon. INVASION OF SYRIA AND LEBANON by British Commonwealth and Free French forces at three points. Free French promise full independence to Syria and Lebanon.